It’s no secret – the iconic Radisson Collection Royal Hotel in Copenhagen has a rich history. It was Danish architect and designer Arne Jacobsen’s playground ­ – he built the structure and everything inside it. It was where timeless, mid-century modern furniture, designed by Arne and crafted by Fritz Hansen, saw the light of day. 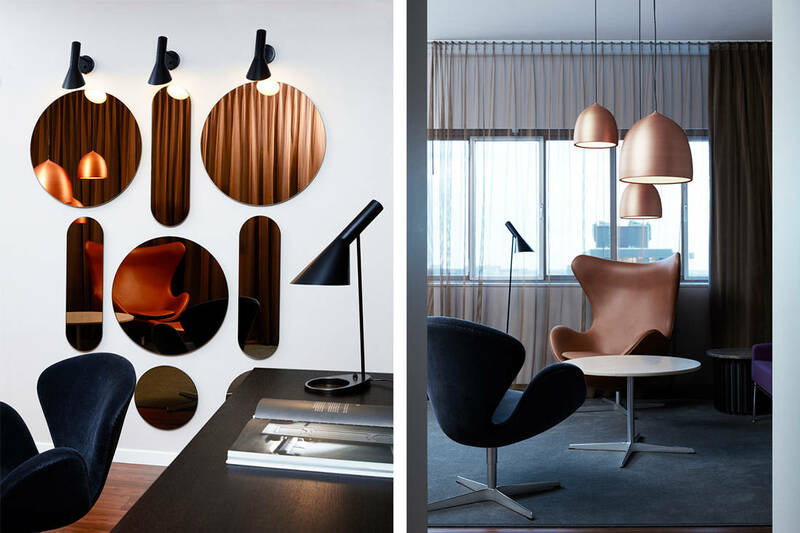 To honour Arne and other great designers of the Fritz Hansen family, the Danish brand has put together 5 exclusive guest suites at the Radisson Collection Royal Hotel in Copenhagen. 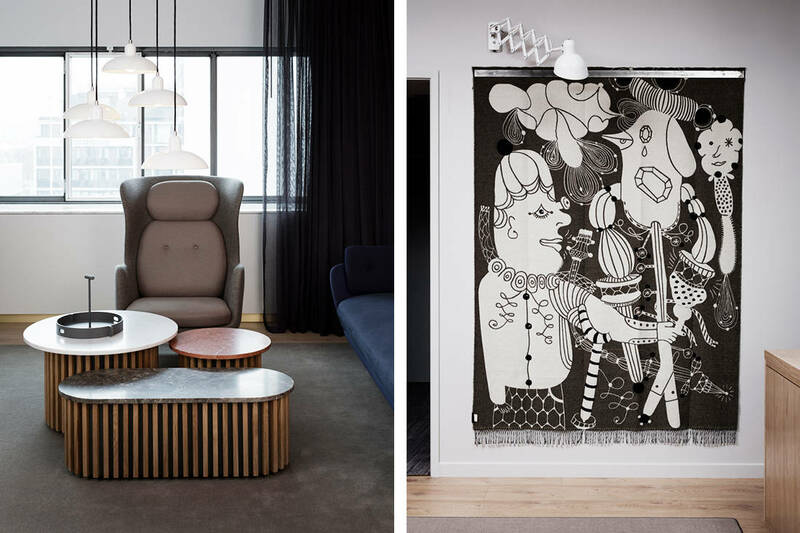 Designers Cecilie Manz, Poul Kjærholm and Arne Jacobsen each have a suite named after them while two Fritz Hansen suites (a classic and a contemporary) are curated with the brand’s most stunning designs. 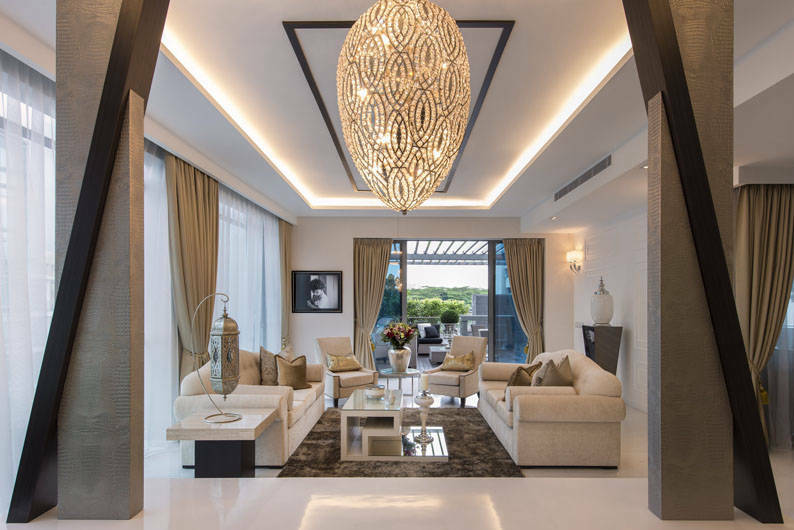 Each suite is styled around a specific theme that reflects the legendary designers’ individual aesthetic and philosophy. 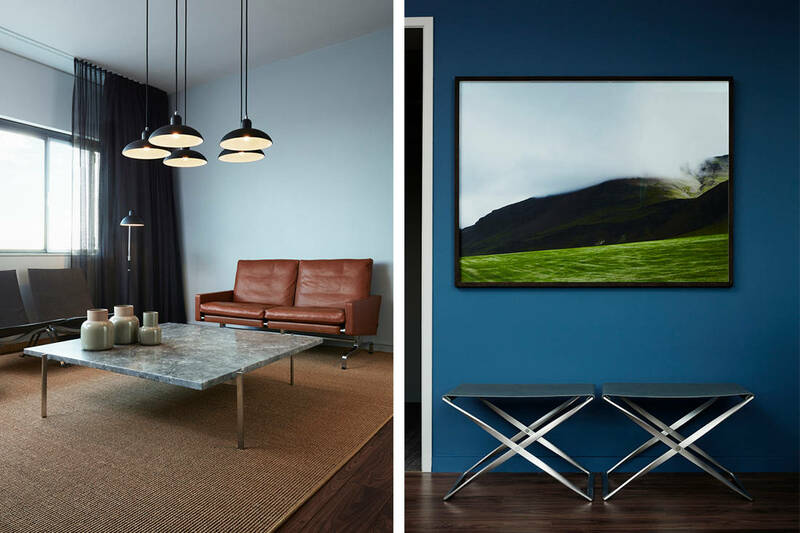 This warm room is dressed in blue, grey and brown tones and is filled with pieces by Poul Kjærholm along with Kaiser idell and Lightyears lamps. 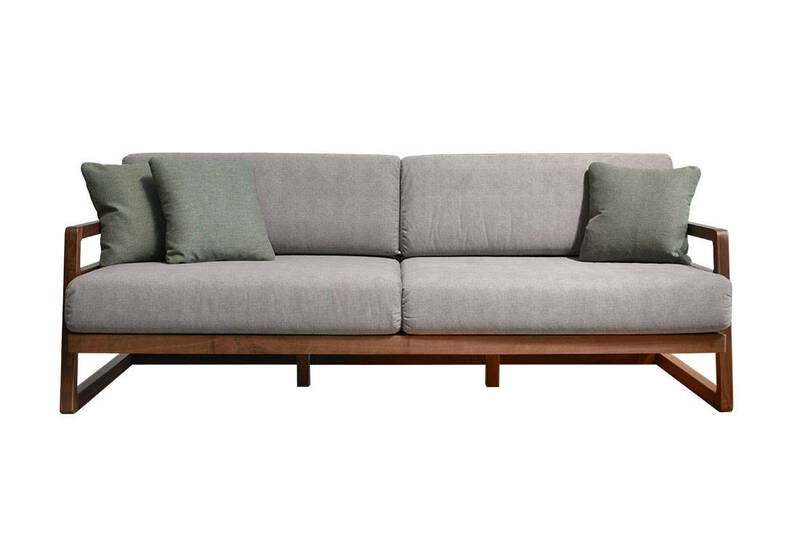 Two PK22 loungers in grey canvas sit alongside PK31 sofa in special brown leather and grey leather PK91 and PK33 stools. Inspired by Poul and his love of natural materials, the piece of art on the wall depicts nature in Nordic aesthetic. 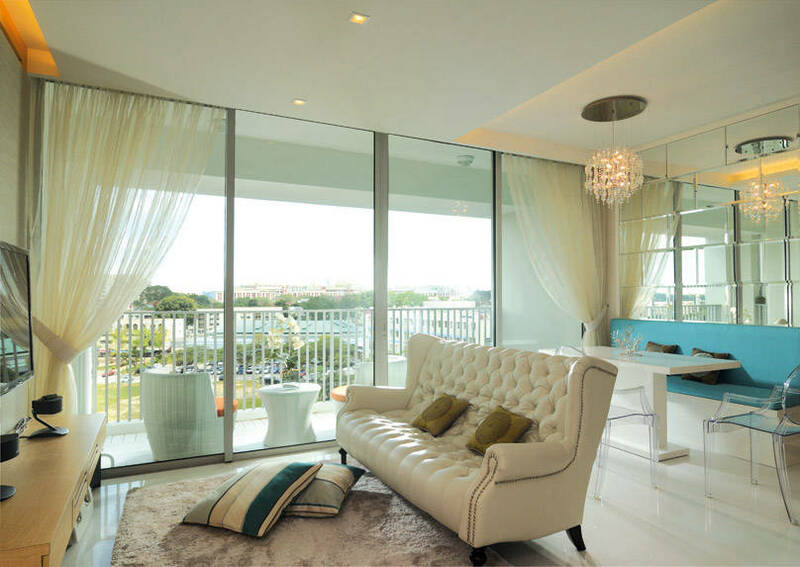 This playful, feminine suite adopts a colour scheme of pink, white and pale grey blended with natural wood. You will also find Cecilie Manz’ pouf and Minuscule chair in new colour and fabrics. Tying the inviting suite together is the Essay table in solid oak, Caravaggio lamps, and earthenware ceramic collection. On the wall hangs an artwork that tells a story of the materials, colour, and textures that inspired Cecilie. 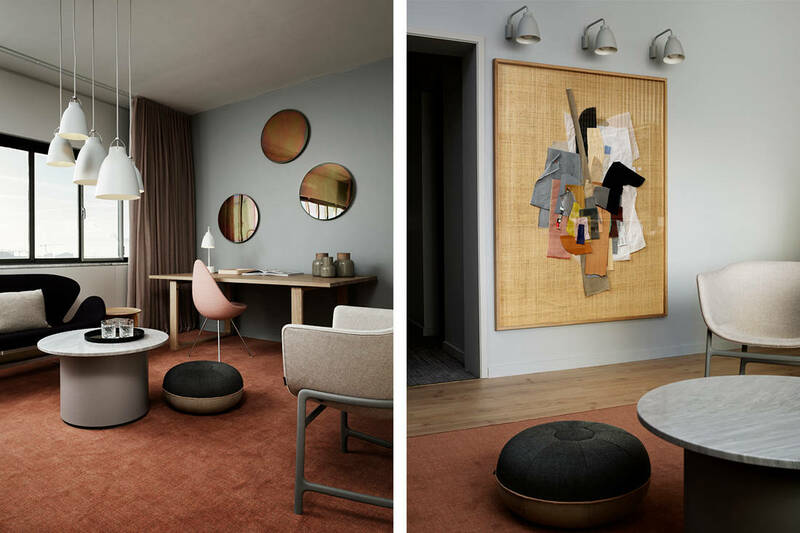 To honour Arne, the architect of the landmark hotel, Fritz Hansen’s design team styled this suite with his most iconic furniture, updated with new materials and colours. Like the Egg dressed in specially selected skin quality leather, the Serie3300 sofa in deep violet wool and the Swan upholstered in velvet for the first time ever. 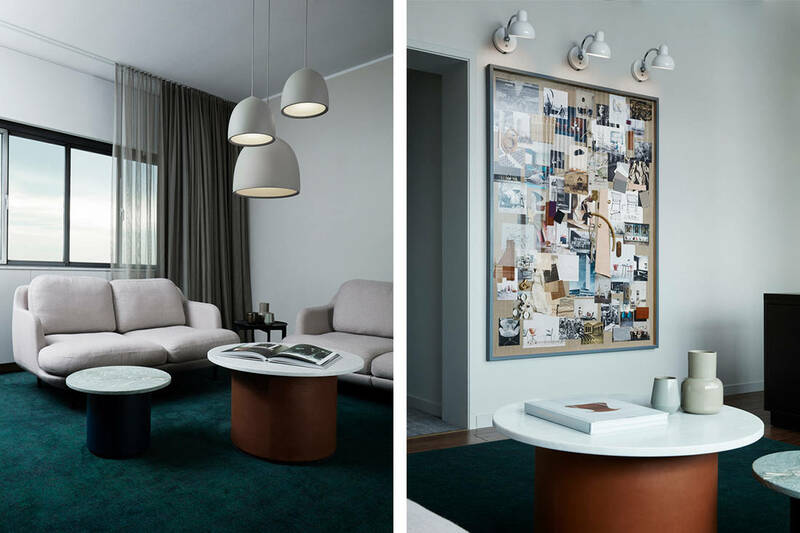 In this modern interpretation of a hotel suite, you will find white Kaiser idell lamps paired with Spaniard Jaime Hayon’s designs like the Ro lounge chair, the Favn sofa and a custom-made Analog table. A playful throw by Jaime is used as a piece of art on the wall, completing the suite that blends Danish and Spanish aesthetics in an informal, contemporary manner. This Classic suite is curated with the Luna sofa especially made with dark stained oak legs, new unreleased variants of Kaiser idell lamp, the Objects coffee table and exclusively crafted marble top tables – all telling a 150 years old story of furniture and design. 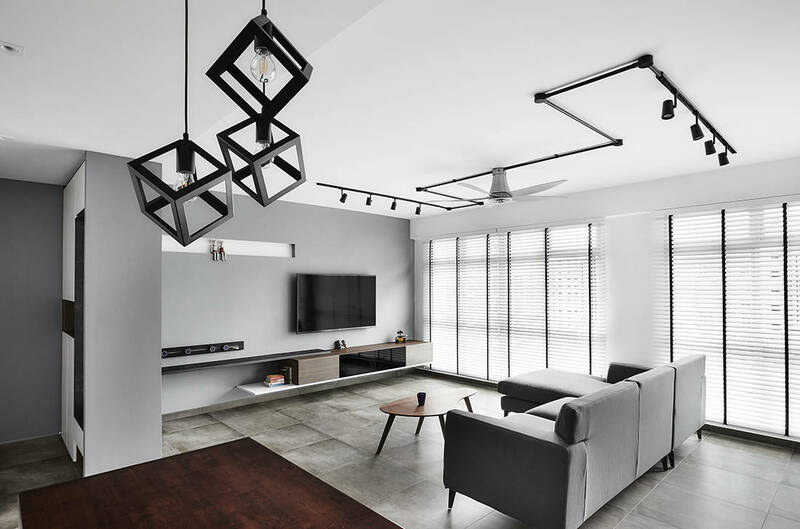 D’Planner injects freshness and a welcoming mood into this home.